Bubbles takes place in the 1st arena and is a 10 minute session. 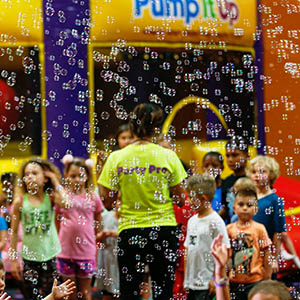 Our bubble blowers are switched on and tons and tons of bubbles fill the room!! 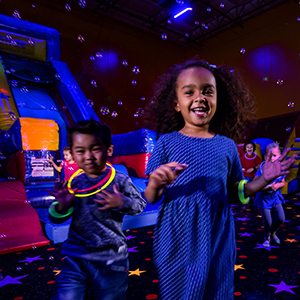 The kids have a tons of fun running & playing through the bubbles! Glow takes place in the 2nd arena. Includes 1 glow necklace for each child. Give our popular Glow LED Lum-i-ton to all your guests! They glow, blink, & flash in different colors!